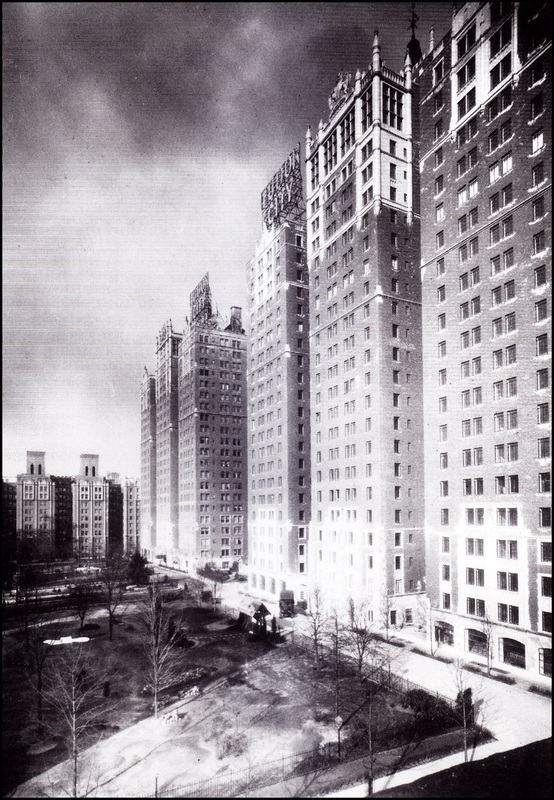 Harry Helmsley spent fifteen years trying to build on Tudor City parks, to much opposition. Among the staunchest of the parks' many defenders was the powerful New York Times, which published five editorials over the years urging the parks' preservation. 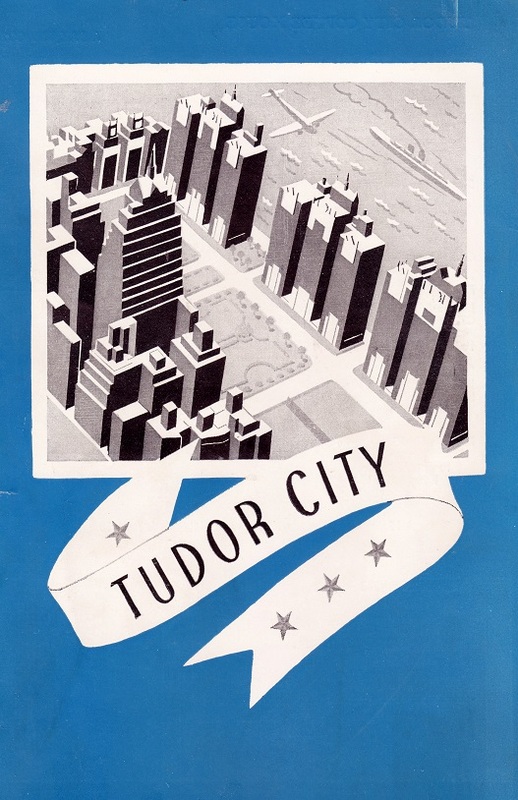 October 4, 1972: The Tudor City Parks. 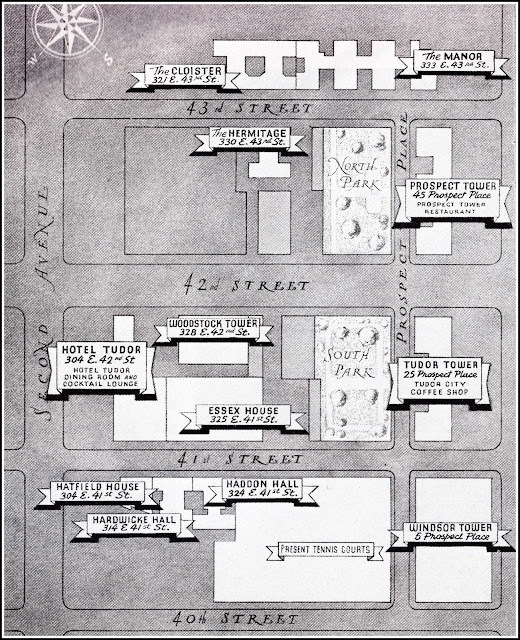 The first salvo, with the Times calling the parks an "irreplaceable amenity in congested midtown" and suggesting the "best proposal is to shift the air rights over the parks" to another part of town, a somewhat radical idea at the time. 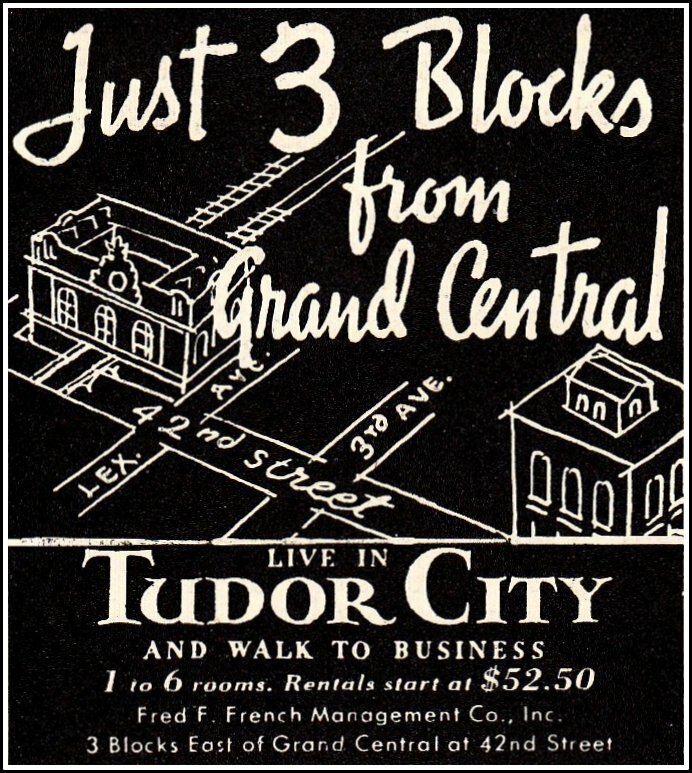 December 18, 1972: Those Tudor City Parks. 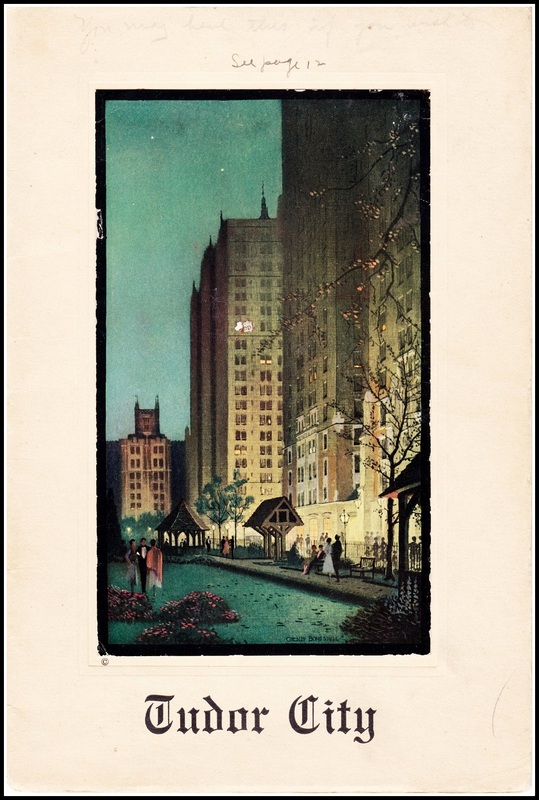 Commending the Board of Estimate's decision to allow the transfer of air rights to save the parks, the editorial states that "these delightful parks will remain as refuges from the hurly-burly and congestion of East 42nd Street." The battle was far from over, however. 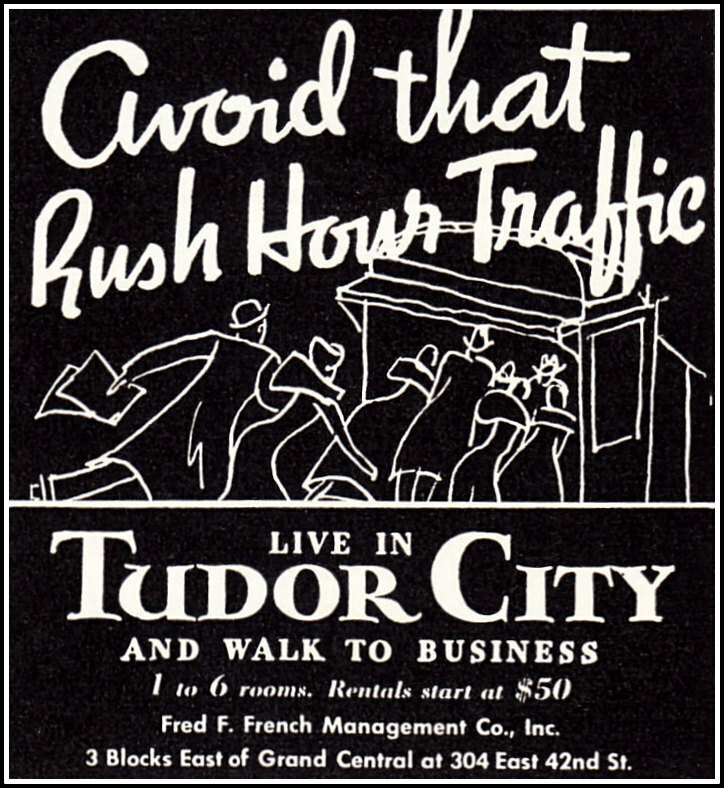 May 31, 1980: Triage in Tudor City. Years have gone by, various air rights transfers have failed, so Harry Helmsley sends in the bulldozers to raze the parks on Memorial Day weekend, 1980. Grudgingly admitting that Helmsley is "totally within his rights" to build there, the editorial notes that the parks' demolition is "doing a wrecking job on Mr. Helmsley's image." 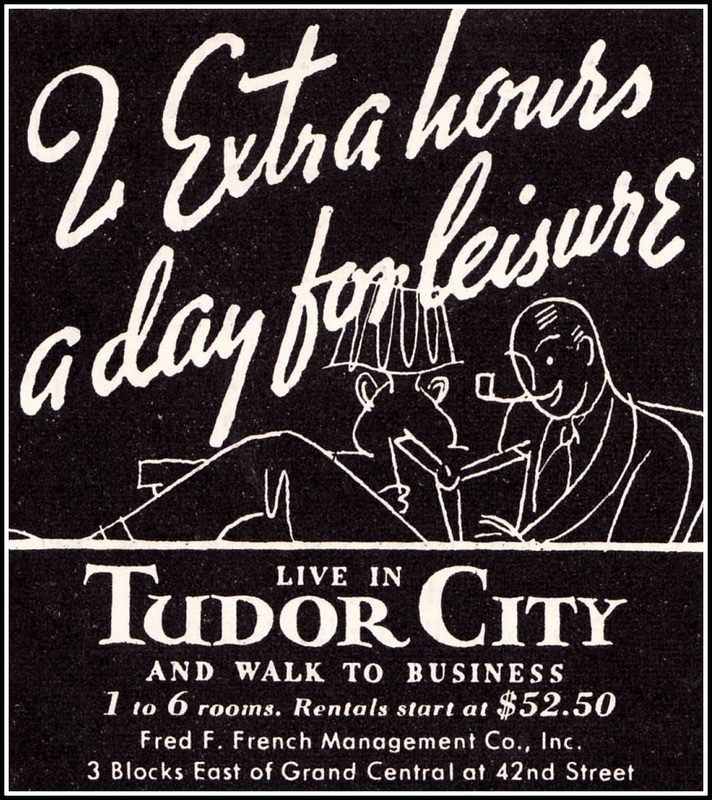 February 21, 1981: The Lesson of the Tudor Deal. The Times reacts to a short-lived deal for the transference of air rights to a city-owned park adjacent to the UN. Read it in full here. April 20, 1981: Green Light on Tudor Parks. The "stop-and-go negotiations" continue as the city proposes to transfer the parks' air rights to land at First Avenue and 51st Street. Read it in full here.